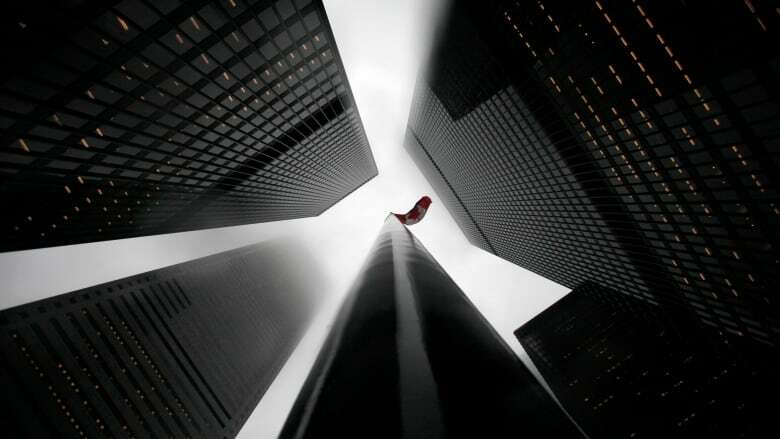 Canada's anti-money laundering agency conducted on-site examinations of more than 800 real estate companies over 4.5 years and found "significant" or "very significant" deficiencies during 60 per cent of those visits, new data shows. Canada's anti-money laundering agency conducted on-site examinations of more than 800 real estate companies over four-and-a-half years and found "significant" or "very significant" deficiencies during 60 per cent of those visits, new data shows. The federal anti-money laundering watchdog found "significant" deficiencies with the anti-money laundering and anti-terrorist financing controls at 468 of those companies, while 28 companies had "very significant" deficiencies. Meanwhile, 324 companies had only "limited" deficiencies. None of the companies were named in the document. When asked what constitutes a "limited deficiency," the agency said it includes instances where the deficiencies are minor or the regulations are only partially being followed. According to the watchdog, an example of a significant deficiency is when there is a "excessive number" of minor deficiencies found, or a number of more severe issues. Very significant deficiencies include instances where there is an "unacceptable" number of minor and serious issues, or infractions that are "very serious" in nature. Federal anti-money laundering and anti-terrorist financing laws require companies in certain sectors — including banks, casinos and real estate firms — to identify their clients, keep records and report large cash deals and other suspicious transactions to Fintrac. There are roughly 20,000 companies in the real estate sector that fall under the regulations. If violations are found during an on-site examination, that could lead to fines of up to $100,000 per violation for individuals and up to $500,000 per violation for companies, depending on severity. However, the federal watchdog issued monetary penalties only nine times during the almost five-year time span, the document shows. When asked why more penalties weren't issued, Fintrac said it considers several factors when deciding whether or not to fine a company. Those factors include the business's compliance history, the seriousness of the violation and the extent to which the company has taken steps to correct the problem. There are a number of avenues the watchdog can pursue besides a fine, the agency said, such as establishing an action plan or conduction a follow-up exam. "In the nine cases identified, it was determined that the most appropriate course of action was to issue an administrative monetary penalty," Fintrac spokeswoman Renee Bercier said in an email. "For the remainder, other enforcement actions were undertaken." According to the federal agency's website, Pickering, Ont.-based Countrywide Generations Realty was fined $11,440 in July 2015 for six violations including incomplete record keeping and failing to identify clients in some instances. In another case, Mississauga, Ont.-based ReMax Active Realty was fined $6,770 back in 2013 for four violations, including failing to develop and apply policies and procedures to detect money laundering. In total, Fintrac has issued 12 monetary penalties in the real estate sector since Dec. 30, 2008, though in the vast majority of instances the companies were not publicly identified. Jack Bensimon, the anti-money laundering adviser at Toronto-based Securefact, said he wasn't surprised to hear about the results of the examinations, given the lack of knowledge about best practices amongst real estate professionals. "There are very, very few real estate brokerage firms that I've come across that actually have dedicated compliance staff," Bensimon said. The low levels of compliance in the sector are problematic because real estate is highly vulnerable to money laundering, according to Bensimon. "Canada is known to be a safe haven for parking investment capital," he said, adding that it's fairly easy for criminals to disguise the initial source of the cash by transferring several times, a process referred to as the "layering approach." The Canadian Real Estate Association said it has provided training for its members with regard to preventing money laundering. Pierre Leduc, a spokesman for CREA, said the organization has asked Fintrac for information about the results of examinations but the federal watchdog has not provided it. "Since we aren't getting audit information from Fintrac we don't know specifics of compliance challenges, which makes it incredibly difficult for us help our members address any shortcomings," Leduc said in an email.